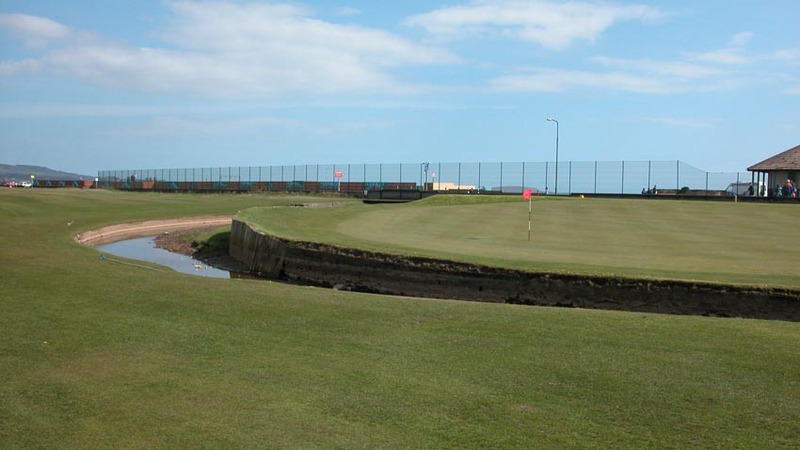 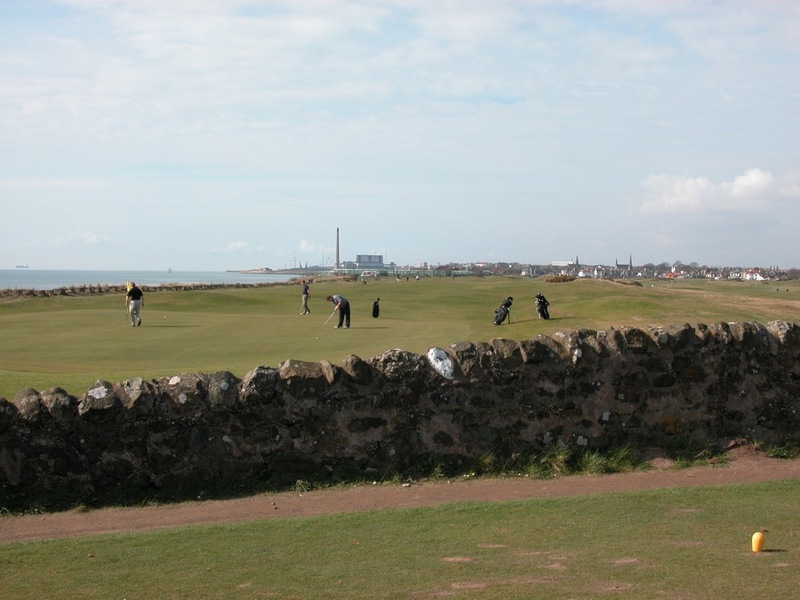 Leven Links, neighbor to Lundin Golf Club in Scotland and another Open qualifying venue when played at St. Andrews, received the single most dramatic hole of the original course after the split with Lundin Golf Club in 1909, the 18th. 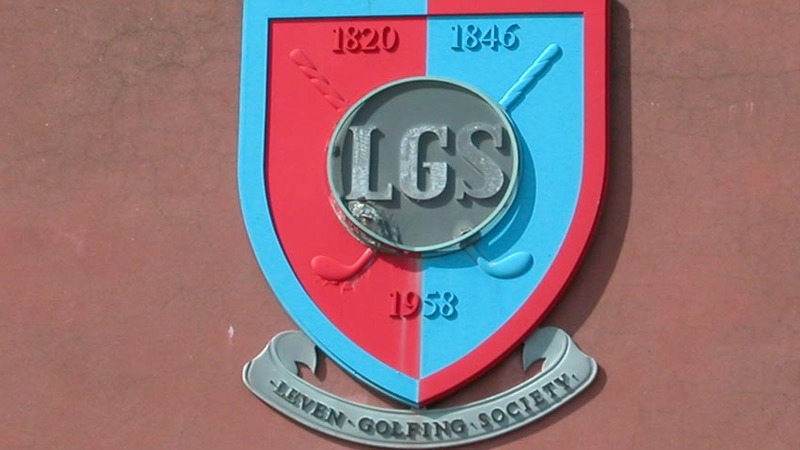 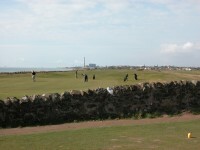 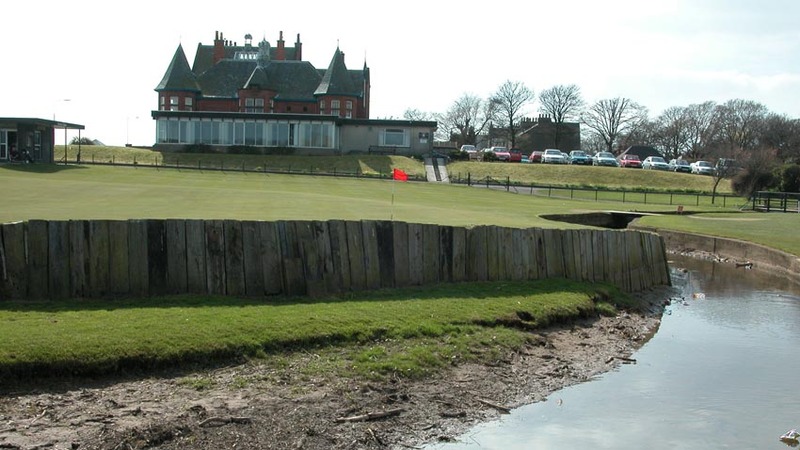 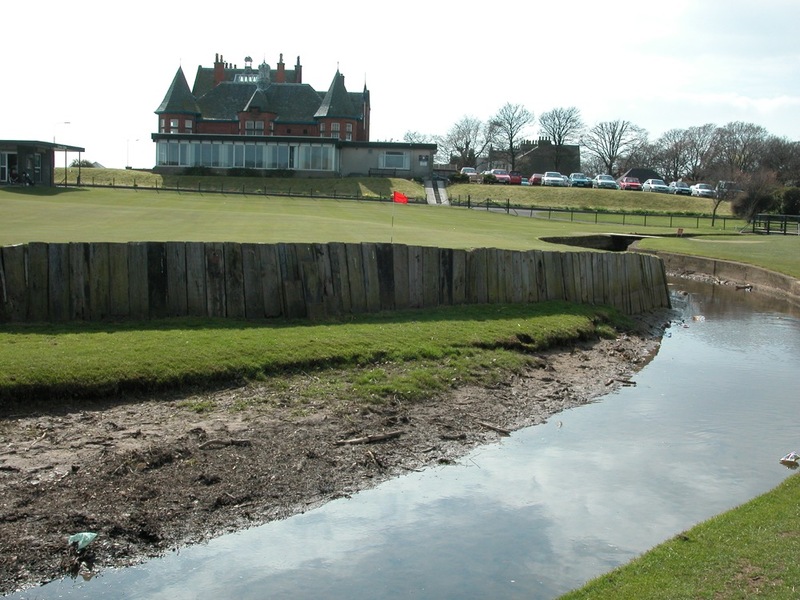 Here at Leven Links, you encounter one of Scotland’s most penalizing burns guarding the right and front of the green, the demonic Scoonie Burn, indeed perhaps with a little evil thrown in as the clubhouse of the Leven Golfing Society behind the green looks straight out of Count Dracula country. 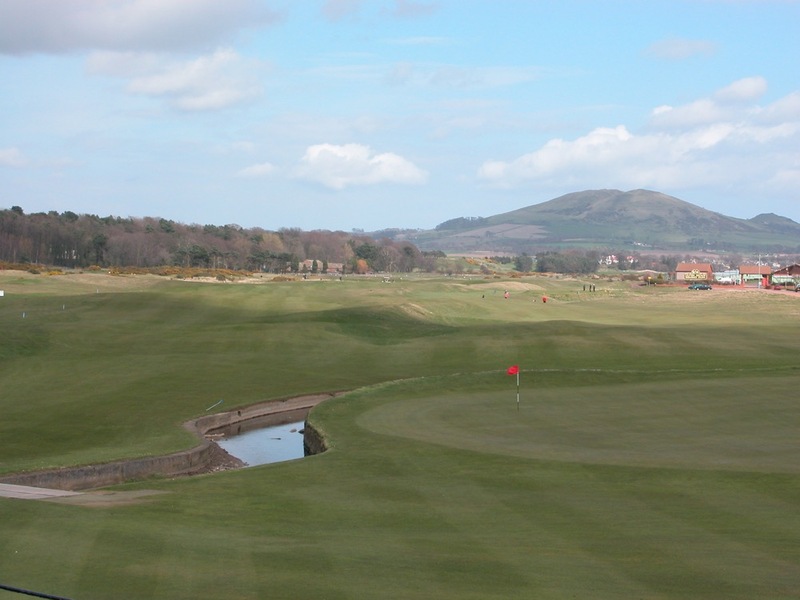 This Leven Links view should well be much more widely recognizable yet relatively few have journeyed from afar to play this traditional Scotland golf venue. 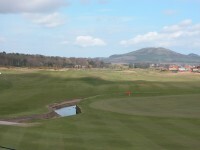 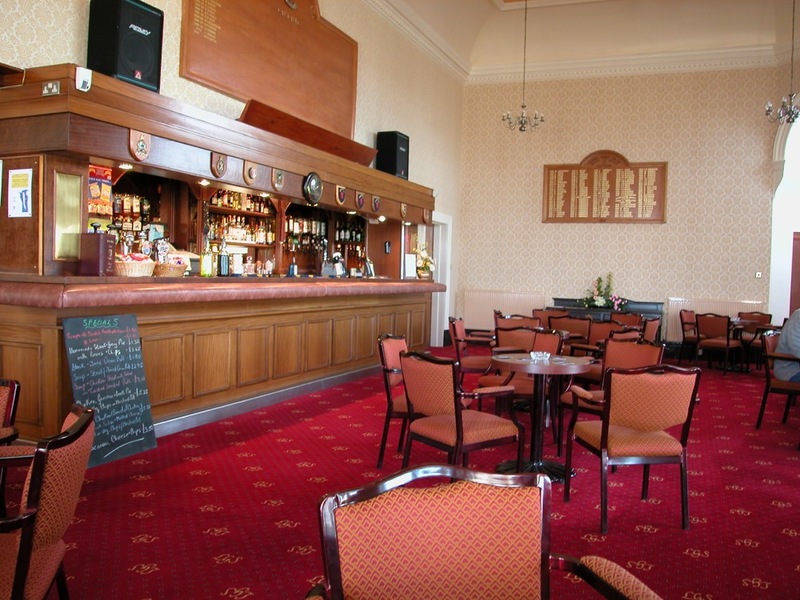 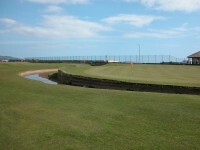 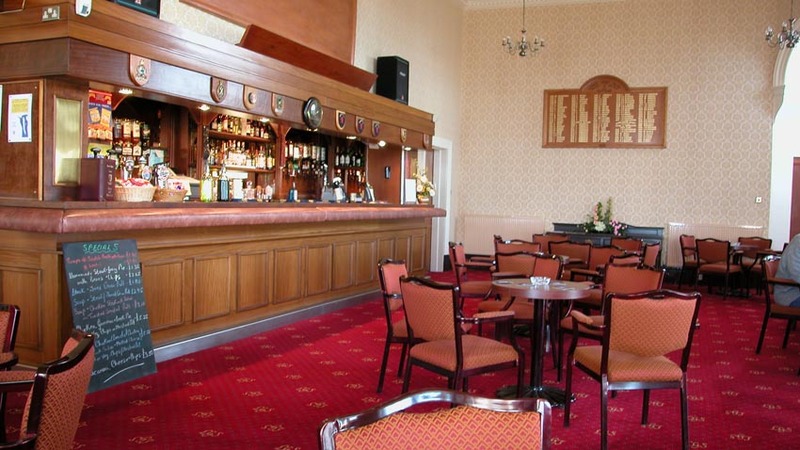 The 18th at Leven Links is one of the best holes in Scotland. 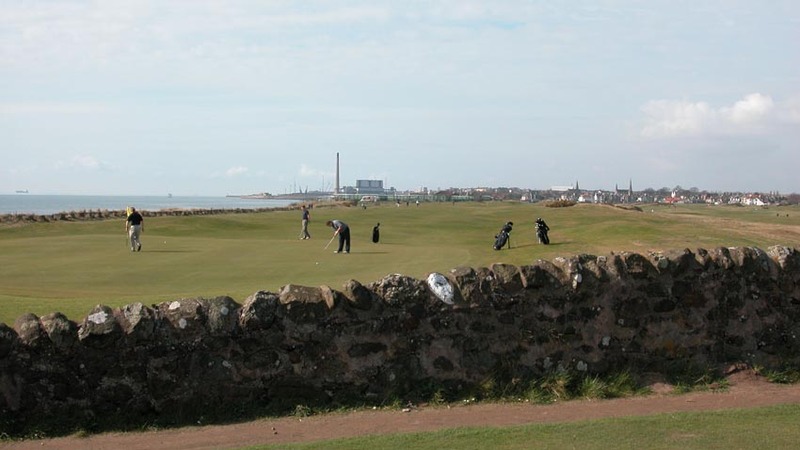 It comes at the end of a stretch from 13 on in, back into the prevailing wind, that Leven Links claims is part of the 11th-oldest golf course ground in the world, with evidence of activity back to 1846. 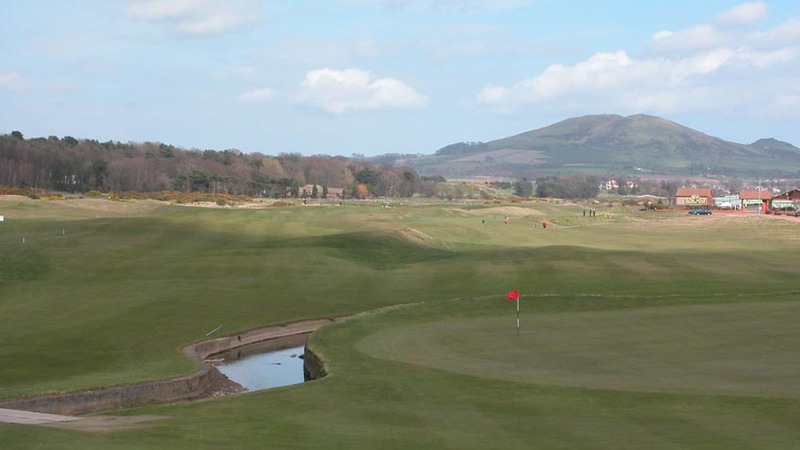 For something unique and different on your Scotland golf holiday, a 36-hole combination of Lundin Golf Club and Leven Links is certainly worth considering!